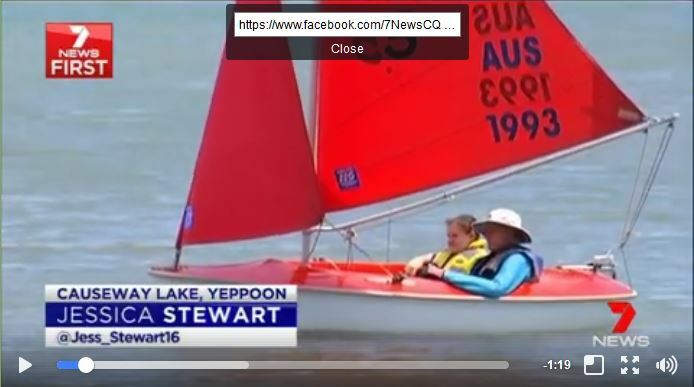 On Nov 7 a local Channel 7 reporter and camera operator visited a Sailability Capricornia sailing day. They filmed, interviewed and had a great ride around in a support boat. Everyone was very well behaved on the day and smiled nicely for the camera. If you would like to have a look at the Channel 7 telecast please click on the following link.